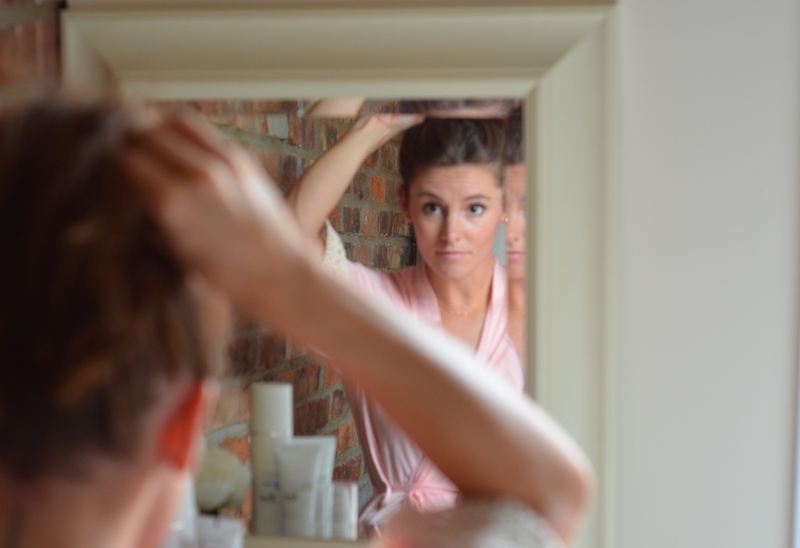 Around the time I turned 25, it started to become much more important to me to take good care of my skin. I wish I had started sooner, but hindsight is 20/20. Ever since then, I have been on the hunt for the perfect skin care products. 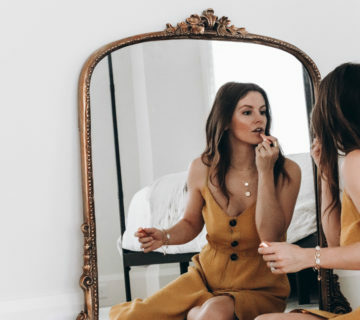 I started buying what my friends used, or what I saw advertised at Sephora or Ulta – a lot of what I bought worked fine, but I never felt like things were working as well as other people told me they would work. 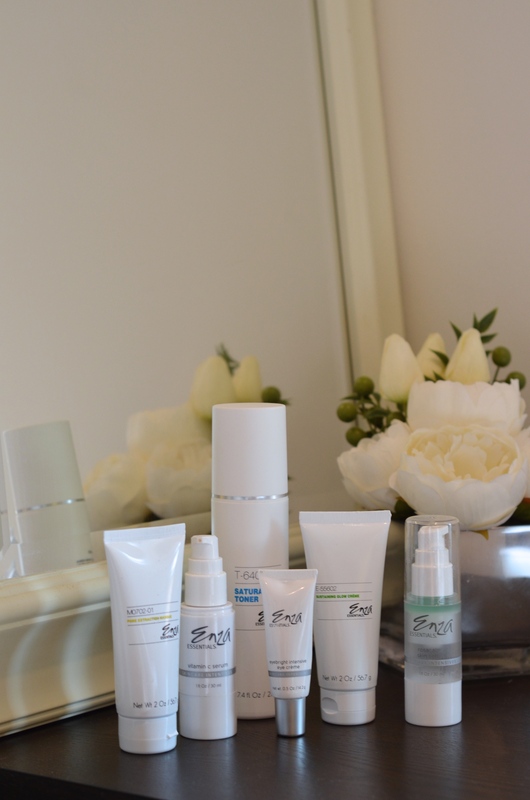 I started searching for skin care products that were customized to my skin, and I was researching Dermatologists in my area when I discovered Enza Essentials. I saw a blog post on Kiss Me Darling Blog on her experience with Enza and I became so interested!!!! The whole experience starts with a questionnaire – so they can tailor the skin care regimen to YOUR skin and your skin only. Dr. Joseph Rucker, a well-known plastic surgeon, worked with dermatological chemists to create skin care products in unique and customizable ways. 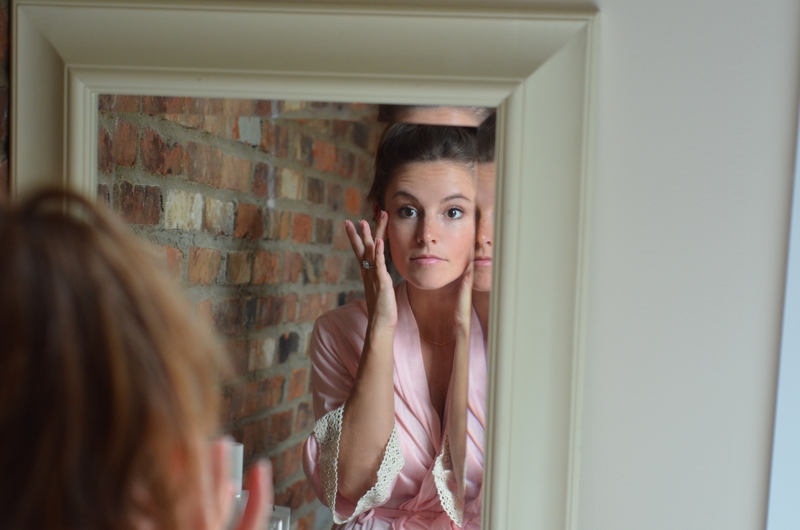 So you go to their website and answer a number of questions like, “What is your skin like first thing in the morning?” and “What part of the country do you live in?” – The questions they ask are so interesting, but they consider all these different factors in order to put together the perfect products for your skin. Once I submitted the questionnaire, it was shortly after that I received a big package in the mail. Inside were all the different skin care products and a folder with the directions for my daytime and nighttime routines. So in March of this year, I started using Enza. I waited this long to do the post because I really wanted to make sure that I could speak honestly about the results from my experience. My biggest skin care concerns are redness around my nose and a terrible dullness in my skin that seems to linger unless I wear makeup. 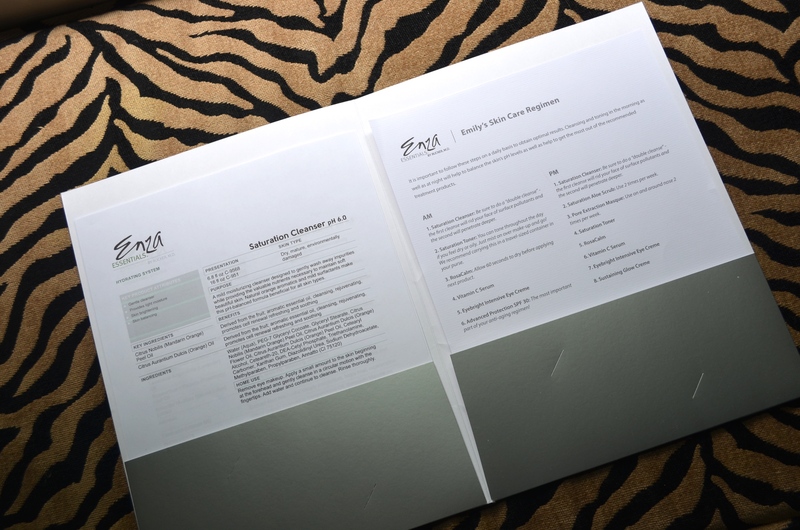 I communicated these concerns when I filled out my questionnaire and I was happy to see that these concerns were taken into consideration with the Enza products and the routine they put together for me. Advanced Protection SPF 30 – the most important part of the regimen!! 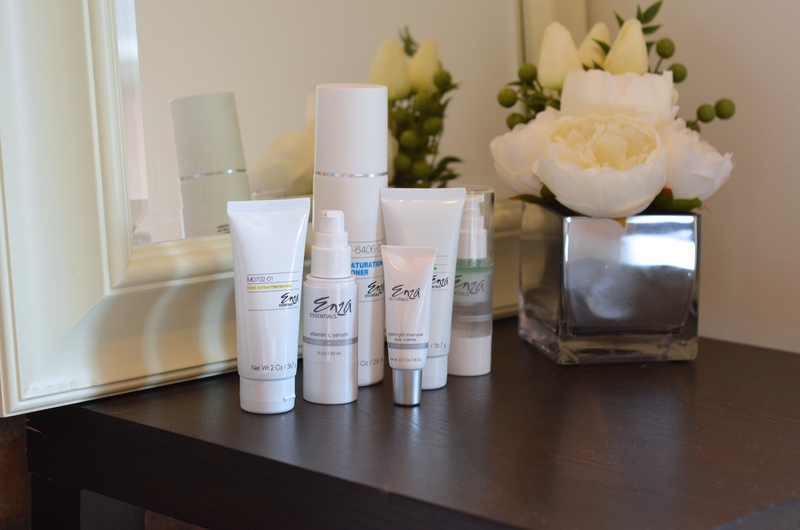 The BIGGEST difference that I have noticed since using Enza is how bright my skin is when I wake up in the morning. Even if I only get a few hours of sleep, I still wake up looking refreshed (my skin, not my eyes or my hair haha – those still look sleepy ahah). The redness around my nose has definitely reduced, although it is not completely gone – but I think I would have to do a chemical peel or something to completely get rid of that. All I can say is that it really makes a huge difference to get a skin care routine that is customized specifically for your skin. You can buy the Enza products separately, but if you purchase a Customized Skin Care Suite you can save 30% off your purchase!